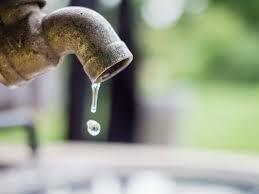 The Buffalo City Metropolitan Municipality is calling on its residents to use water wisely and sparingly in order to avoid a possible water crisis. BCMM Council has approved implementation of water usage restrictions as per the Dam Operating Rules. This is based on the latest dam figures which reveal that the main dam, which supplies raw water to the King Williams Town water treatment works for purification and distribution by the municipality to the urban areas of (i.e. Ginsberg, Westbank, KWT CBD, Daleview, Forthill, Breidbach, Qalashe, Acorn Valley and Masingata), is critically low. The Rooikrantz dam, was recorded to be below 50 percent in the latest available data. The level of Rooikrantz Dam is at the critical level, which necessitates the implementation of water restrictions as the dam operating rules, which states that the urban water supply should be restricted by 50 percent when the Rooikrantz dam level is below 50%. The Department of Water and Sanitation will restrict the raw water supply to KWT water treatment plant by 50 percent, which means the community is expected to reduce its water demand by the same margin in order to avoid an emptying of the Rooikrantz Dam. The level of this dam has reduced by more than 55 percent compared to the same period last year, which is an indication drought condition on this system. The latest figure of this dam as at 46.9 percent. The other dams that supplies the City are Nahoon dam, which supplies East London and Mdantsane (currently sitting at 53.5 percent) and Rooikrantz dam (currently sitting at 46.9 percent). Buffalo City’s main reserve dam, the Wriggleswade Dam, which is managed by Amatola Water on behalf of the Department of water and Sanitation, is currently sitting at 85 percent. However, with the main dam now below 40 percent, the City is already sourcing water its reserve, the Wriggleswade Dam. The latest statistics below show a significant drop in dam levels in some of the main dams when compared to the same period in the previous year, which indicates that a drought situation is closely approaching the municipality if the expected rains do not materialize this summer. The Municipality has a drought operating strategy which will be implemented, depending on levels of each dam in the Amatole System. This includes the implementation of water restrictions level 4. A. Restrict the water supply pressure by throttling the reservoir outlets to 50 percent. B. Take off Ginsberg from KWT water treatment supply system to a Laing System by installing an emergency pipeline from Kwalini village to Ginsberg. C. Install water restrictor washers or water management devices to all households within the KWT water treatment supply zone. To avoid severe stages that might lead to punitive tariffs, the Municipality is calling on residents to adhere to the restriction of water usage.